Streaming platform reported to have paid $230m for Gimlet. The first is podcast producer Gimlet, which, according to tech site Recode, Spotify has paid $230m (£178m) for. That is more than three times the value the company was thought to be worth in mid-2017. Gimlet was founded in 2014 by US radio and podcast host Alex Blumberg and its first show was StartUp, in which Blumberg recounted his experiences getting the business off the ground. It has since launched the likes of internet culture show Reply All, true crime show Crimetown and scripted dramas Homecoming and Sandra. Both StartUp and Homecoming have since been adapted into TV shows. The company also has a branded podcast division that has developed shows for the likes of eBay and Tinder. Speaking to Campaign in 2017, Gimlet's creative director, Nazanin Rafsanjani, said it had found success with clients that were "open to telling stories that aren’t heavily branded". Spotify's other acquisition, Anchor, is a platform that allows people to easily record and distribute their own podcasts. In a blog post yesterday, Spotify founder and chief executive Daniel Ek wrote: "In just shy of two years, we have become the second-biggest podcasting platform. 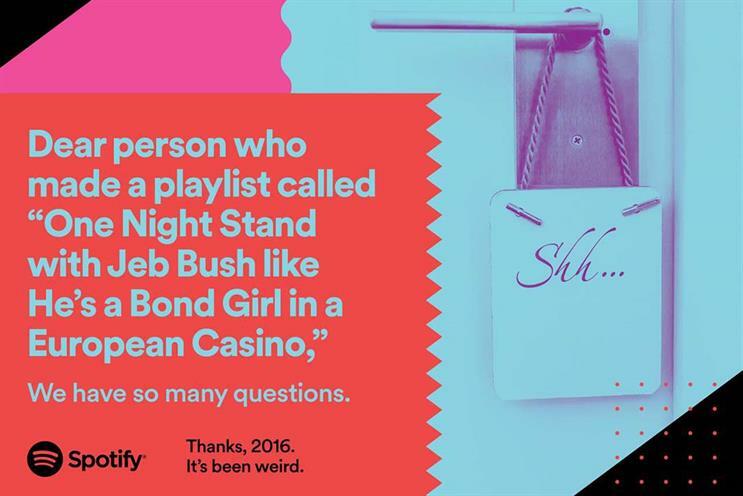 And, more importantly, users love having podcasts as a part of their Spotify experience. Our podcast users spend almost twice the time on the platform and spend even more time listening to music. We have also seen that, by having unique programming, people who previously thought Spotify was not right for them will give it a try. "Based on radio industry data, we believe it is a safe assumption that, over time, more than 20% of all Spotify listening will be non-music content. This means the potential to grow much faster with more original programming, and to differentiate Spotify by playing to what makes us unique – all with the goal of becoming the world’s number one audio platform."